The end of 2018 is finally upon us. and the Tampa Bay Lightning had an eventful calendar year. Franchise records were broken, as were fans’ hearts. The past was celebrated and the present was savored. Some fan favorites left town and some new ones established themselves with the team. Too many things happened in the past twelve months to fit into one post, so like any good online publication I’ve narrowed it down to the top five. Enjoy! Victor Hedman became the first Lightning defenseman to win Norris Trophy, finishing ahead of Nashville’s P.K. Subban and Los Angeles’ Drew Doughty with 57% of the first place votes. He set a career high in goals with 17, finishing the season with 63 points in 77 games. Nikita Kucherov also had a standout season, setting career highs in assists (61) and points (100) and finishing sixth in the Hart Trophy voting. He also became the first Lightning player to break the 100-point mark since Vincent Lecavalier and Martin St Louis recorded 108 and 102 points during the 2006-07 season. It was his third straight season leading the team in points, and he is well on his way to doing it again this season. From the moment star defenseman Erik Karlsson, then of the Ottawa Senators, put on a pirate hat and pillaged about with Hedman, the speculation began. Karlsson was on the trading block, and Tampa Bay appeared to be the preferred destination. Rumors swirled at the trade deadline, where many thought Lightning general manager Steve Yzerman would land the former Norris winner. When the deadline passed and Karlsson was still in Ottawa (and Yzerman landed a different star defenseman), talk died down and focus turned towards the upcoming playoffs. As the draft approached talks picked up again, hitting its fever pitch on July 5th when TSN’s Shawn Simpson reported a deal had been reached, pending a trade call (the tweet has been deleted as far as I know, otherwise I would embed it here). It sent the hockey world into a frenzy, exciting Lightning fans and terrifying pretty much everyone else. Alas, the report was not true, being debunked shortly after. Fans who could contain themselves long enough to check their phones learned quickly of their premature celebration. If you’re like me, you saw the false tweet right as the lights in a movie theater were dimmed and spent the entirety of “Ant-Man and the Wasp” in a state of euphoria, only to scream angrily in the parking lot. Karlsson was eventually dealt to the San Jose Sharks, where he currently has 30 points through 38 games. Meanwhile the Lightning are doing just fine, sitting atop the league with 62 points. But oh, what could have been. All the buzz at the trade deadline was about Erik Karlsson being traded to Tampa Bay. So when reports came out that the Lightning finalized a deal right before 3 p.m. on February 28th, Karlsson’s name was not on the trade. Instead Yzerman went out and added the second best defenseman, and arguably the second best player overall, that was available. Ryan McDonagh and JT Miller arrived from the New York Rangers in exchange for Vladislav Namestnikov, prospects Brett Howden and Libor Hajek, and a few draft picks. This was not the first time Yzerman went out and got a big name at the trade deadline; Braydon Coburn was brought in at the 2015 deadline to upgrade the second pairing. But the statement he made with this acquisition stands out; McDonagh is an established top-pairing defenseman, giving the Bolts one of the best one-two punches in the league. St Louis and Lecavalier are easily the two greatest players in franchise history, sans the current roster. Both players were honored for their legacies this year by the Bolts. Lecavalier had his jersey retired, joining St Louis in the Amalie rafters, while Marty became the second Lightning player inducted into the Hockey Hall of Fame. Both had stellar careers and were key cogs of the Stanley Cup-winning team in 2004. Between them they compiled 748 goals, 1,079 assists and 1,827 points in 2,009 games for the team. They also won nine individual awards, including the Hart and Rocket Richard trophies, and finished on a post-season all star team six times. Both players also served as captain of the team. Their contributions to the franchise are similar but their paths were anything but. Lecavalier was the first overall pick in 1998 and embraced superstardom on day one. St Louis went undrafted and toiled around Calgary’s system before getting an opportunity with the Lightning, eventually earning a top-line role along with the hearts and minds of the fans. The two were the last of the old guard, sticking around while the likes of Brad Richards and Dan Boyle were traded away. They were the bright spots of some otherwise dull seasons, giving fans a reason to come to games their team were almost sure to lose. They still played key roles while the new young stars like Steven Stamkos and Victor Hedman began to make the team their own. Despite the nature of their departures, neither of which had the feeling of proper goodbyes, leaving a sour taste in fans’ mouths, both Vinny and Marty have been welcomed back with open arms. No matter how much time passes, the names Lecavalier and St Louis will forever live on in Tampa Bay, much like they did in their playing career: side by side. When the NHL officially announced that its players would not be participating in the PyeongChang Olympics, most hockey fans experienced a mix of anger and sadness. That anger and sadness was lessened for fans in Tampa Bay after they were awarded the 2018 All-Star Game, the first time the event was in Tampa since 1999. Four Bolts were named to the Atlantic Division roster: Stamkos, Kucherov, Andrei Vasilevskiy and Brayden Point (who replaced an injured Hedman). The event produced several memorable moments for the home crowd, from Point’s near-victorious performance in the fastest skater competition to Kucherov pulling his fake deke move on Capitals goaltender Braden Holtby. The announcement that Yzerman would be stepping down from his role as general manager came as a shock to everyone, including the players. Assistant GM Julien Brisebois took over while Yzerman stepped into a one-year advisory role. Yzerman has meant so much to this franchise, taking over prior to the 2010-11 season and building a perennial contender. He was the tow truck that came to the rescue, pulling the Lightning out of the ditch where it had spent the last five years spinning its tires. While this iteration of the Bolts has yet to win the Stanley Cup, this five-year run as been the most talented and most successful in franchise history, going 36-26 in the playoffs and winning six out of ten series. Perhaps Yzerman’s most impressive accomplishment was finding the franchise goaltender in Vasilevskiy, something that had always eluded this team over its 25+ year history. Brisebois will do a fantastic job in Yzerman’s place, having been a partner in almost every major decision since his hiring, but that won’t stop the pain Lightning fans will have next year when they say goodbye to the best general manager this team has ever had. It’s the storyline that hurts the most, but it’s also the most important one. The Lightning made it to the Eastern Conference Finals for the third time in four seasons and once again took a 3-2 series lead against the Washington Capitals. A 3-2 victory in Game Five would prove to be their last, as the team failed to score in the last two games and dropped the series in seven games. 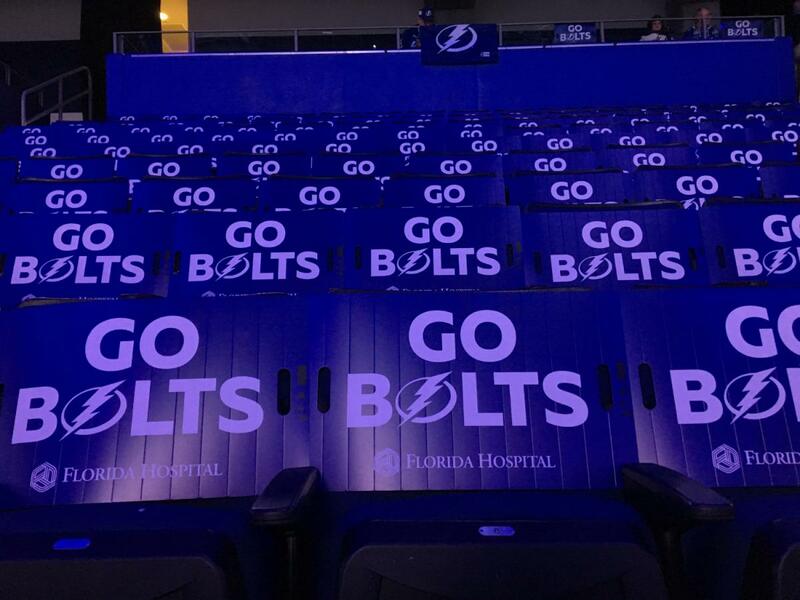 The Caps would go on to win the Cup, marking the third consecutive playoff appearance in which the Bolts were eliminated by the champions. The Capitals’ Cup win ended about eight years of playoff heartbreak and removed the “can’t win the big one” label forever. Some pundits immediately slapped that onto the Bolts, which is harsh; prior to this year, this Washington team had never appeared in a Conference Final, whereas the Lightning were in the third round for the third time since 2015. However, if 2019 comes and goes without Tampa Bay raising the Cup, it would mean that the most talented Lightning team ever failed to capture the ultimate prize. And if not them, who?